Let’s start with full disclosure: I haven’t always been a fan of B-3 organ jazz. But what I’ve realized over the years is that the problem hasn’t been the instrument, but a few of the instrument’s players. 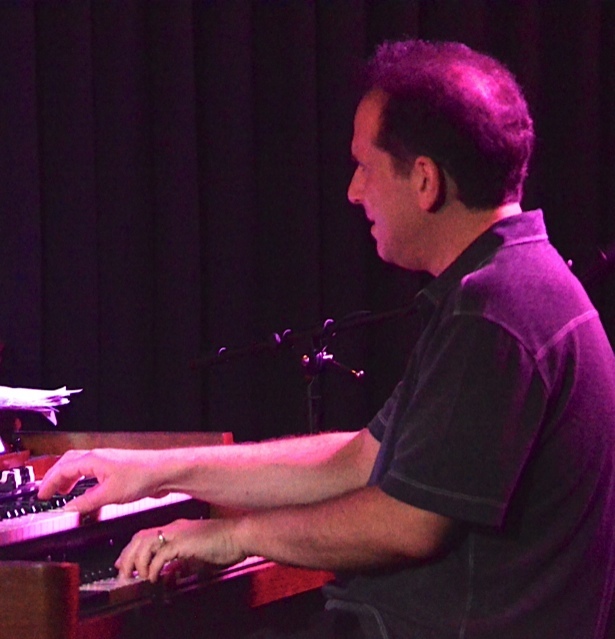 All of which was fully clarified last night at Vitello’s with the stellar performance of jazz organist (and all around master keyboardist) Larry Goldings and his musical cohorts, guitarist Peter Bernstein and drummer Bill Stewart. The opening set, delivered to an overflow full house crowd, began with a high spirited romp through “It Ain’t Necessarily So.” At its best, it set the tone for the high spirited, energetic tunes to follow. Among them, a few originals – Goldings’ “Jim Jam” and Bernstein’s “Dragonfly” — showcased the improvisational skills of both composers. Tossing ideas back and forth, supporting each other’s soloing, they were propelled by a tsunami of rhythmic currents from Stewart. But it wasn’t until they reached the old standard, “I Surrender, Dear,” that a full range of the trio’s more subtle creative aspects began to emerge. Beginning with an impressionistic array of tonal coloring from Goldings’ organ, the piece evolved into a creative showcase for Bernstein’s soaring improvisational imagination. The set continued with more imaginative playing: an untitled tune in 5/4 that appeared to be based on the chord changes of ‘Tea For Two”; a similarly untitled piece resembling an eight bar blues. But whatever they played, Goldings, Bernstein and Stewart brought it to life with their own unique collective style. 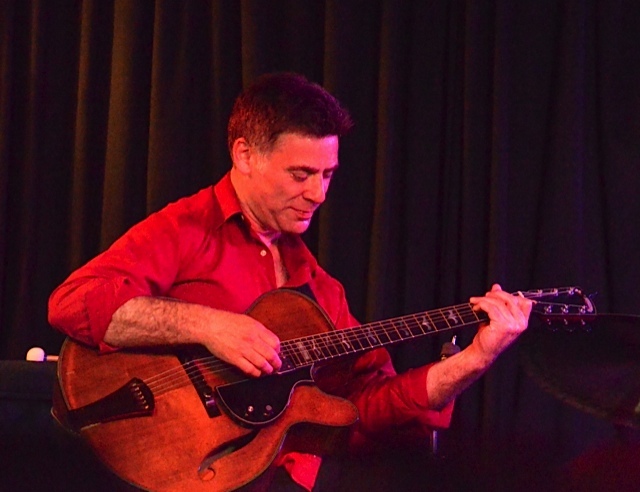 The only distraction in an otherwise appealing collection of contemporary jazz playing at its finest was Stewart’s occasional tendency to play with a volume and an intensity overriding the acoustic limits of Upstairs at Vitello’s. 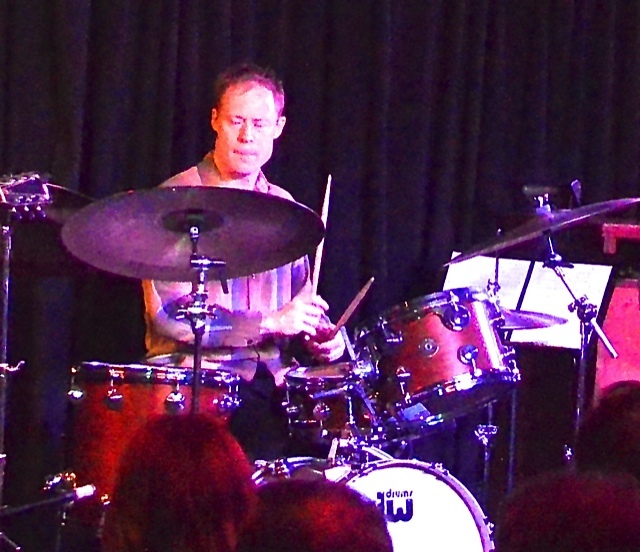 Drummers who play the club regularly are well aware of the risks of, so to speak, overblowing the room. That said, however, it’s worth noting that Stewart’s career has been brightened by a masterful ability to blend swinging rhythms with subtle complexities, offered with a colorful range of dynamics. And the passages in this set when those qualities were present – as in “I Surrender, Dear,” – were attractive reminders of his impressive skills. For the enthusiastic audience, the individual players in this trio of gifted jazz artists could do no wrong, with Stewart, in particular, receiving ovations after every solo. And, from this listener’s perspective, by the time the set was over, both my organ jazz phobia and Stewart’s hyper-intensity had been dissipated by the memorable impact of the trio’s appealing musicality.